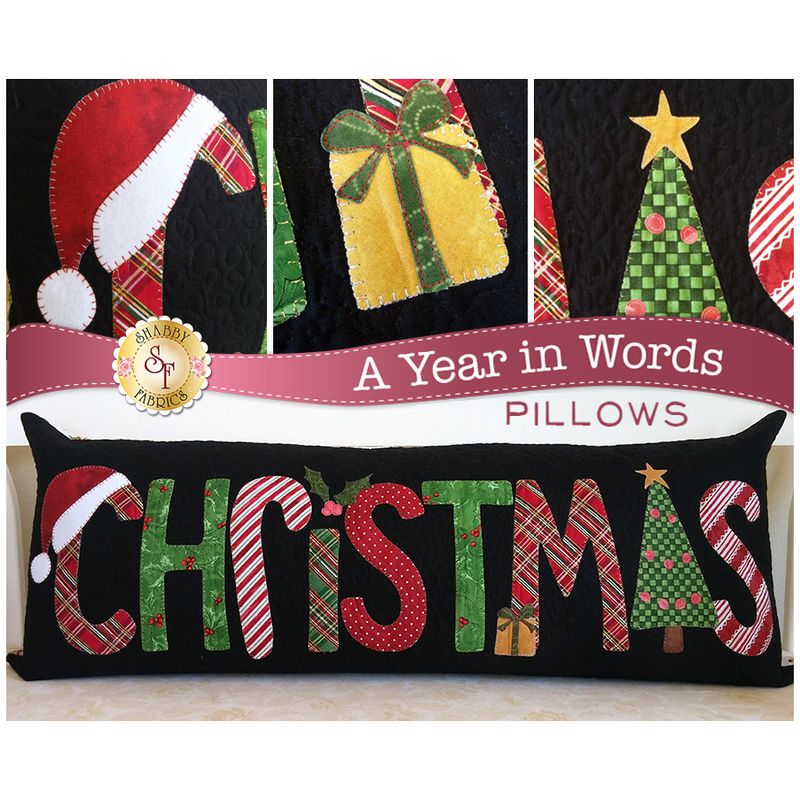 Add a charming touch to your home with this "Christmas" pillow from the A Year in Words Pillows! This Shabby Exclusive measures 3 FEET LONG x 15" high and has an envelope backing making the pillow form interchangeable. This Kit will include the pattern, top fabrics, and backing. The applique pieces arrive to you laser-cut and backed with fusible webbing - all you have to do is peel off the paper, place the pieces on the background, iron in place, and stitch around the edges to secure! It just doesn't get more fun and easy than that! Add the special Thread Set coordinated just for the A Year In Words Pillows! It includes 3 gorgeous Sulky Sliver Metallic Threads that adds a beautiful shimmery touch to your applique. By purchasing these threads as a set, you are saving 10% OFF each spool! Be sure to add the Bottom Line thread for your bobbin as well. One color is all you need for this purpose.